From only 10 in 2010, the number of tigers in Bhutan's Royal Manas National Park (RMNP) has risen to 22 tigers in 2016. 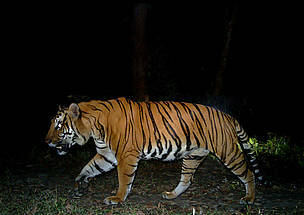 A big win for tiger conservation efforts, the population of the endangered cat has doubled in Bhutan’s Royal Manas National Park (RMNP) in just 6 years, as per the latest official study of tigers in the area. From only 10 individual tigers in 2010, the number has risen to 22 tigers in 2016, a step toward achieving the global mission of doubling wild tigers by 2022 (the TX2 goal). The study also indicates that RMNP could arguably hold one of the largest contiguous tiger populations in the country. Singye Wangmo, the Officiating RMNP Park Manager, credits the increase to the great teamwork and leadership of the Royal Government of Bhutan to protect the endangered cat and double its population by 2022. “The combined efforts of frontline foresters, strong transboundary collaboration with the Indian counterparts, cooperation by local communities and the unstinting support from the Royal Government of Bhutan and WWF has made it possible in achieving this remarkable feat,” Singye said. 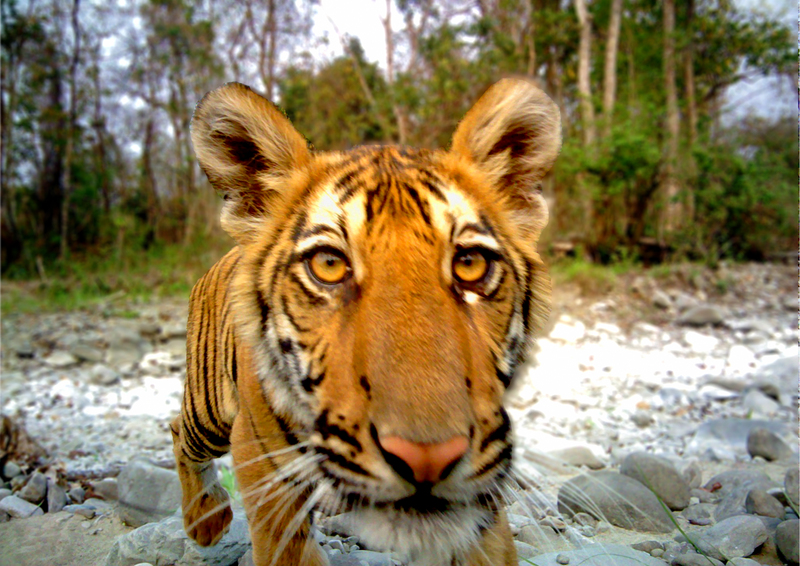 According to officials, providing protection to the critical tiger habitats and maintaining the ecological and genetic viability of tiger population in RMNP and across Transboundary Manas Conservation Area (TraMCA) is essential in realizing the global conservation goal of doubling tiger population by 2022. 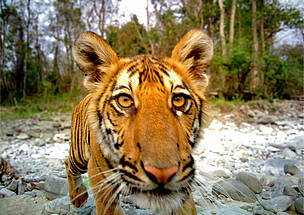 There is indeed much work to be done if tigers are to be saved. Once found in diverse habitats across Asia, the world's wild tiger population has shrunk by over 95 per cent in the last century due to illegal tiger trade, poaching and habitat loss. Today, the world is at risk of losing this iconic species completely, with as few as 3,890 tigers remaining in the wild. “In the face of increasing illegal wildlife trade, habitat loss and human-wildlife conflict, it is imperative that tiger population is scientifically assessed and their trends monitored,” said Dechen Dorji, Country Representative of WWF Bhutan. 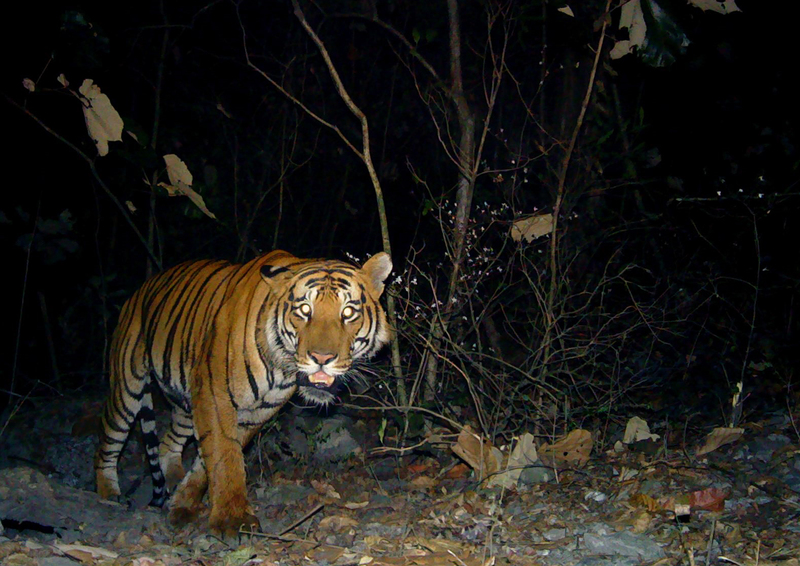 “Linking science with on-ground conservation through such scientific monitoring of tigers is imperative in gauging the success of all of our conservation interventions,” he said. Dechen said that a holistic approach to monitoring wildlife population that includes assessment of predator and prey population as well as their habitat are critical elements for effective conservation. Realizing the need to establish proper scientific information on tiger ecology for effective conservation and in ensuring the viability of wild population of priority species, a long term scientific monitoring of tigers in RMNP was initiated since 2011 under the aegis of TraMCA and Ugyen Wangchuck Institute for Conservation and Environmental Research (UWICER). 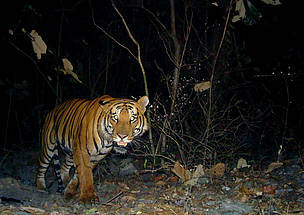 “The joint scientific monitoring of tigers between RMNP and Indian Manas National Park, which also forms the core of TraMCA is a testimony to a successful transboundary conservation effort to safeguard tigers in the wild,” said Singye Wangmo, Sr. Forestry Officer and Officiating Park Manager in RMNP. She said that the presence of healthy breeding tiger population linked together with tiger habitats of three other protected areas in Bhutan via Phibsoo Wildlife Sanctuary, Jigme Singye Wangchuck National Park and Jomotsangkha Wildlife Sanctuary, and Manas National Park in India makes RMNP a potential ‘source site” for tigers. RMNP is also one of three sites in Bhutan that is piloting the Conservation Assured Tiger Standards (CA|TS) - currently the highest global standards for effective site-based management for wild tigers. Two joint transboundary tiger monitoring reports were released in 2011 and 2016 respectively. 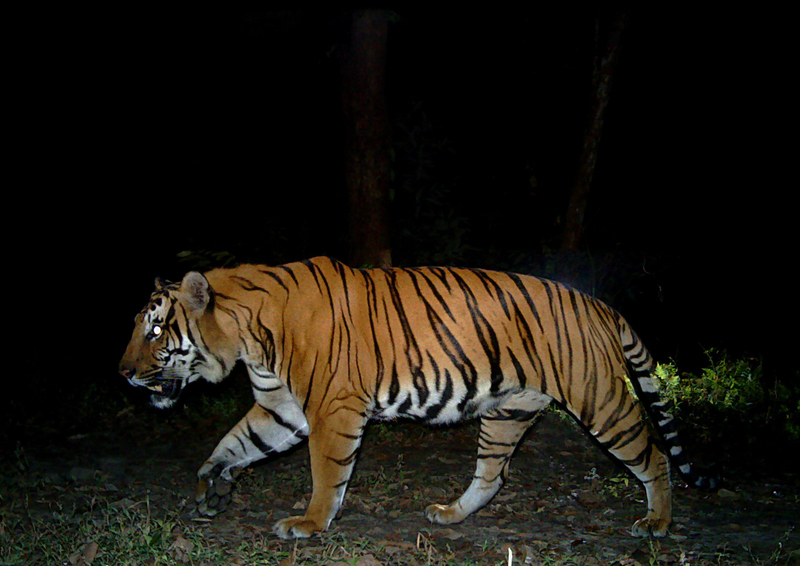 The TraMCA tiger photo database has a record of 57 unique individuals and 13 tigers are found common in both the protected areas.